Intel wants to foster collaboration in the connected vehicle sector through the launch of the new Automated Security Review Board (ASRB). The new board is committed to making sure that the connected cars of the future are completely secure. The group's initial remit will be to focus on the cyber-physical systems that control everything inside the vehicle. "We can, and must, raise the bar against cyberattacks in automobiles," said Chris Young, SVP and GM of Intel Security. "With the help of the ASRB, Intel can establish security best practices and encourage that cybersecurity is an essential ingredient in the design of every connected car. Few things are more personal than our safety while on the road, making the ASRB the right idea at the right time." Cyber physical is used to describe the system of different computational elements that control physical things, which in the case of connected cars is basically anything that contributes towards it staying on the road. Intel's part in the whole process will be to provide an automotive advanced development platform on which to conduct research. Findings will then be available when they are discovered. Intel will also award a new car to the member of the group that provides the best contribution, thus making sure the board is constantly working towards the highest safety standards possible. Security is one of the key concerns surrounding the connected cars of the future and alongside the formation of the ASRB, the Intel Security-owned McAfee brand produced a white paper explaining all the different security implications of driverless cars. Some of the major areas it has flagged up are steering and braking, remote keys, airbags and lighting systems. 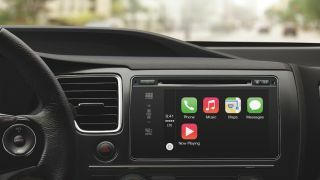 By forming a board of this ilk it will go some way to assuage the doubts of those worried about connected cars and bring forth a standardised set of security practices that connected cars can abide by.